Shirley Temple dress made from basinette skirt! 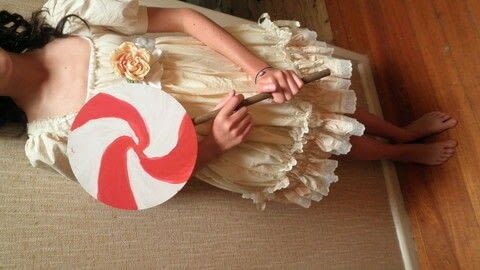 https://www.cutoutandkeep.net/projects/altered-basinette-skirt-into-shirley-temple-dress • Posted by Stacy H.
My daughter wanted to go as Shirley Temple for a fancy dress party. I used a basinette skirt for the skirt of the dress and for the bodice I used Butterick pattern 6630. Tied a white satin ribbon under the bust and added a silk rose!